High mountain plants growing at high altitude have to regularly cope with high light and high UV radiation that can lead to photodamage of oxygen-evolving complex (OEC). However, the underlying mechanism of photoprotection for OEC in high mountain plants is unclear. Sun leaves of Betula platyphylla were used to examine whether cyclic electron flow (CEF) around photosystem I (PSI) plays an important role in photoprotection for OEC. Our results indicated that the value of ETRI/ETRII ratio significantly increased under high light. With increasing light intensity, non-photochemical quenching (NPQ) gradually increased, and the fraction of P700 that is oxidized in a given state gradually increased. These results indicated that CEF was significantly activated under high light. After treatment with a high light of 1600 μmol photons m−2 s−1 for 8 h, the OEC activity did not decline, but the maximum quantum yield of PSII (F v /F m ) ratio significantly decreased. These results suggested that CEF-dependent generation of proton gradient across thylakoid membrane protected OEC activity against high light. 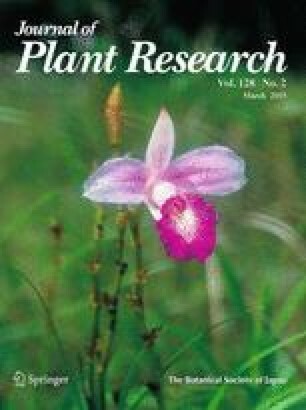 Furthermore, the stability of PSI activity during exposure to high light suggested that the high CEF activity in B. platyphylla played an important role in photoprotection for PSI activity. This study is supported by China Postdoctoral Science Foundation to Wei Huang (2013M531994) and National Natural Science Foundation of China (grant 31300332). We are grateful to Ying-Jie Yang and Wei Zhang for critical reading of the manuscript.